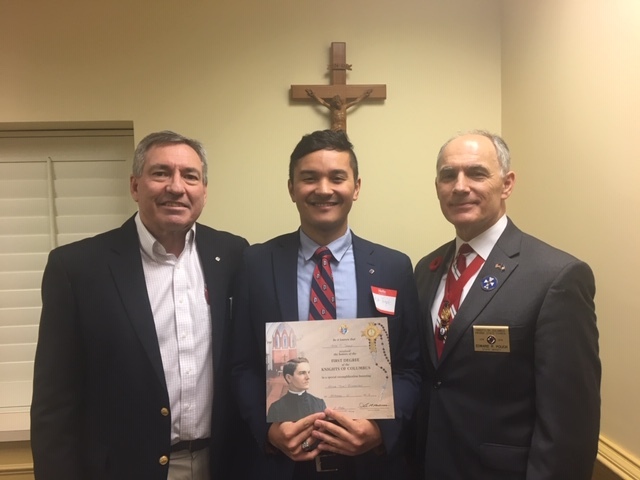 Monday November 12, 2018 – Jacob Temple joined Council 5476 by completing his first degree. Jacob is an active member of St. Bridget Catholic church as the Associate Music Minister. He is a wonderful addition to our council. Please take the opportunity to congratulate him when you see him at mass next weekend.